Christmas Day is the one day of the year when London practically shuts down, with many of the major sights and shops closing their doors, and the Tube and buses coming to a standstill. Most people might opt to stay at home unwrapping their presents and feasting on chocolates, but it's the optimum times to explore the crowd-free streets of London. Many of the churches hold services on Christmas Day, with those at St Paul's, St Martin-in-the-Fields and Westminster Abbey among the most spectacular. Come Boxing Day, sport and shopping are put in the limelight, with the traditional Premier League fixtures, the race meeting at Kempton Park and the start of the end-of-year sales. Wake yourself up on Christmas Day with a refreshing dip in one of London's lakes and lidos. Take inspiration from the hardy fools who take part in the Peter Pan Cup race, a Christmas day swim around the freezing Serpentine that has been an annual fixture on the calendar since 1864. Or take a trip to Hampstead Heath, which are open all year round. A few pools will open on Boxing Day and Brockwell Lido is hosting a ticketed Christmas Day Swim, giving you the chance to burn off the box of Quality Streets you munched through during the festive season. Make Boxing Day a day to remember with tickets to a London show. Lots of shows run almost as normal throughout the Christmas holidays, meaning if you don't fancy another day of rubbish Christmas telly you can get out there and enjoy some of the amazing entertainment on offer across the capital. Here are just a few of the shows you can catch this Christmas: Popular family show The Snowman returns for 2018, with shows on Christmas Eve and Boxing Day, and Raymond Briggs' Father Christmas at Lyric Hammersmith has several stagings on Christmas Eve. Featuring an all-star cast with Dawn French as The Wicked Queen, Julian Clary returns, as The Man in The Mirror and Nigel Havers as The Understudy, Snow White at The London Palladium is also being staged on both Christmas Eve and Boxing Day. Many of London's ice rinks remain open on Boxing Day. A time-honoured tradition since 1876, when the world's first artificial ice rink was unveiled in Chelsea, there's nothing more festive than London's Christmas ice rinks. So, what better way to spend Boxing Day? Many of the capital's best rinks remain open on both Christmas Eve and Boxing Day, providing the perfect way to work off all that turkey and enjoy some festive fresh air. Rinks open over the festive period include the Tower of London, Hampton Court Palace, Natural History Museum and Somerset House. The rinks at Winterville and Winter Wonderland also remain open on Boxing Day, along with the fairgrounds and festive attractions. A cosy London pub could be the perfect place to spend the 25th. In keeping with the true spirit of Christmas, lots of warm and friendly London boozers open up their doors to loyal customers and weary travellers on Christmas day. Many of the Young's pubs remain open throughout the festive period, the Spread Eagle in Camden and The Flask in Hampstead. Popular East London pub The Dove has a lovely cosy atmosphere and opens up on Christmas Day to offer a tempting seasonal menu including traditional turkey and beef Wellington. Other pubs open on the big day include The Abbeville in Clapham, The Bull's Head in Barnes, The Canonbury Tavern in Islington, The Owl and Pussycat in Shoreditch, and The Pilot in North Greenwich. 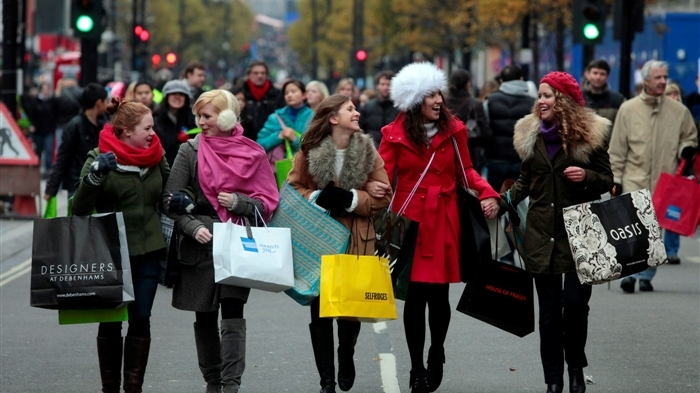 For serious bargain hunters Boxing Day is a chance to get first in line at the sales. Whilst most of us are sinking into our sofas and tucking into a third helping of leftover stuffing, masses of serious shopaholics are limbering up to battle the mayhem of the January sales. In London, the key areas to target for a Boxing day bargain hunt are Oxford Street, some of the major department stores and a couple of the big shopping malls. Oxford street is the shopping heart of London and is home to all the major highstreet labels including the flagship Topshop, Primark and Niketown. Most of the big department stores will be open and gearing up for the January rush, Selfridges and Harvey Nicks are always good for bagging yourself some designer deals. Debenhams usually opens its doors at a rather ungodly hour on the 26th, where as John Lewis allow their employees an extra day of rest and remains closed on Boxing Day. Christmas can be fairly sedentary, so liven things up with some live sporting action. The Premier League is a highlight for many at Christmas and this year many of the top games will be shown on live television. There are nine games this year, three of which are being shown live on Sky Sports. If football isn't your thing get down to Kempton Park for the King George VI Winter Festival, which is sponsored by 32Red for 2018 and runs for two days on the 26th and 27th December. Get out with friends and family and enjoy some jump racing action from some of the sport's most exciting stars. The annual King George VI Chase takes place on Boxing Day, and you can make it a really special occasion by booking a table at the Kempton Park Panoramic Restaurant. Take advantage of the deserted streets and explore the crowd-free city. This is the one day of the year that the streets of London will be free from the crowds, so if you fancy making the most of this unique opportunity take to the streets with one of the guided tours taking place this Christmas. See the city as you've never seen it before, through the eyes of Charles Dickens. The London Walks company's Dickens tour departs from the Trafalgar Square Christmas Tree at 2pm on the 25th and transports you on a historic festive journey around the capital. The company are also running a Samuel Pepys tour on Christmas day morning, taking full advantage of the fact that the streets will be almost automobile free, as they would have been back in 1660. If all that sounds a bit tiring, hop on a Christmas Day Thames Cruise. Give something back this Christmas and help out at one of the city's charities. Christmas is about giving as well as receiving, so if you really want to get into the spirit of things this year try donating some time to a charitable cause. Many London charity centres are appealing for volunteers to help out over the holidays, assisting in the kitchen, making tea and generally making the festive period a little better for vulnerable people in the city. The Christmas period can be tough for many people, particularly for the homeless, sick and the elderly. So if you think you can help make it a little easier, the charity 'Crisis' is calling for volunteers (aged 16) who would be willing to give up sixteen hours of their time over Christmas. They are particularly interested in anyone with medical training or hairdressing and dentistry skills, but are looking for anyone who can 'muck in' and make a real difference. From cheap budget hotels to luxury 5 star suites see our deals for hotels, including Dorsett Shepherds Bush from 68% off.